The ultra-rugged Zebra MC9300 mobile computer is now available for purchase from Barcode Dynamics. The Zebra MC9300 is the latest member of the legendary MC9000 mobile computing family, which includes the MC9200. The Zebra MC9300 features an 8-core processor (running Android 8.1 Oreo), a large touch display and a longer-lasting battery. The Zebra MC9300 is designed to operate in demanding environments, such as warehouses, manufacturing plants and large retail environments. In the words of Zebra, “it’s the most rugged MC9000 Series (mobile computer) ever created.” The Zebra MC9300, which doubles as a walkie-talkie, is available in standard, hazardous (C1D2) and “cold storage” versions. All versions of the Zebra MC9300 come equipped with Near Field Communication (NFC), LifeGuard for Android security and PTT Express (push-to-talk) software. A number of scan engines are available for the Zebra MC9300, including the SE4850 (for extended range 1D/2D capture) and the SE4750 DP (for DPM capture). Interoperability with Zebra’s Mobility DNA solution. The Zebra ZQ610 mobile printer – part of Zebra’s new ZQ600 Series – is designed for high-volume label and receipt printing applications in the retail, transport-logistics and manufacturing sectors. 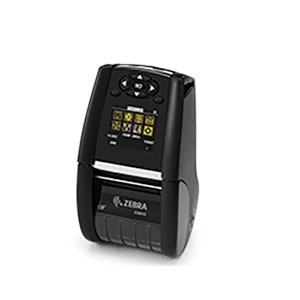 The Zebra ZQ610 features a large colour display (288 x 240 pixels), a powerful Lithium-ion battery and Wi-Fi / Bluetooth connectivity. In addition, the Zebra ZQ610 boasts an IP43 rating and a print speed of up to 4.5-inches per second. The Zebra ZQ610 is based on Zebra’s legendary QLn printer series (QLn220, QLn320, QLn420), making it backward compatible with many QLn accessories. The Zebra ZQ610 is a direct thermal printer that utilises Zebra’s Power Smart Print Technology (PSPT), resulting in high-quality barcodes, text and graphics. Whether you need to produce sales receipts, item tags or price labels on the move, the Zebra ZQ610 mobile printer won’t let you down. What’s more, the Zebra ZQ610’s customisable menu makes for easy operation. The new Panasonic Toughbook FZ-T1 handheld device is raising eyebrows for all the right reasons. 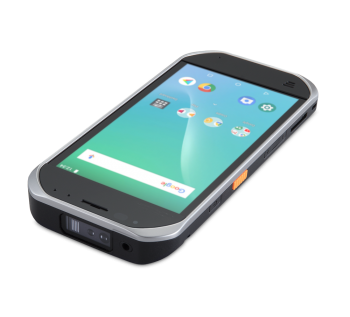 The Toughbook FZ-T1 is a 5” Android barcode scanner with optional 4G voice and data capabilities. Weighing just 240g and built to MIL-STD 810G specifications, the Toughbook FZ-T1 raises the bar for handheld devices in terms of mobility, functionality and toughness. The Toughbook FZ-T1 is ideal for warehousing, retail and manufacturing operations. The Toughbook FZ-T1 is powered by a Qualcomm® Snapdragon MSM8909 quad-core processor (1.1GHz), which underpins the Android 8.1 (Oreo) Operating System. The Toughbook FZ-T1 features 2GB of RAM, 16GB of flash storage, an 8-Megapixel rear camera and up to 12-hours of battery life. The Toughbook FZ-T1’s integrated barcode reader scans a wide range of 1D and 2D barcode types, and processes 5 scans per second. Over the past 10 years, Humanscale has established itself as a world-leader in healthcare ergonomics – producing a wide range of stylish medical carts, technology cabinets and wall stations. Humanscale’s commitment to healthcare ergonomics is reflected in its widely-acclaimed TouchPoint T7 series of motorised and non-motorised medicals carts (workstations on wheels). The Humanscale Touchpoint T7 medical cart is ergonomic, features a low centre of gravity, and is constructed from durable aluminium and steel. The T7 is designed with minimal parts, making it easy to clean and disinfect. A large number of add-on accessories are available for the T7, including a sharps holder, a glove box holder, a chart holder and storage compartments. The Zebra ZD510-HC (Healthcare) wristband printer has been designed to address the specific needs of the healthcare sector. The ZD510-HC is a direct thermal wristband printer that’s easy to deploy, load and clean. The ZD510-HC dispenses Zebra’s proprietary Z-Band® antimicrobial-coated wristbands – improving wristband longevity and patient safety. The Zebra ZD510-HC integrates with a number of leading Admission, Discharge and Transfer (ADT) patient systems – namely Allscripts, CareFusion, Cerner, CPSI, Epic and McKesson. The housing on the Zebra ZD510-HC is built to withstand strong disinfectants and UV light during the sanitisation process. There’s little doubt that the Zebra ZD510-HC sets the standard in wristband printers for the healthcare sector. Barcode Dynamics and Zebra are proud to be joint-exhibitors at this year’s HIMSS AsiaPac18 Conference & Exhibition in Brisbane. The event – organised by the Healthcare Information and Management Systems Society (HIMSS) – will take place on 5-8 November 2018 at the Brisbane Convention & Exhibition Centre. HIMSS AsiaPac18 brings together thought leaders, solution providers and organisations in the digital healthcare space. Speakers include Dr Richard Ashby (Chief Executive, eHealth Queensland), Tim Kelsey (Chief Executive, Australian Digital Health Agency) and Air Vice-Marshal Tracy Smart (Commander Joint Health & Surgeon General, Australian Defence Force). HIMSS AsiaPac18 will focus on four key areas of eHealth: connectivity, consumer-partnership, sustainability and data. In a timely development, Barcode Dynamics has been appointed the first Zebra Healthcare Specialist in Australia – a program designed to recognise partners that provide expertise in Zebra healthcare solutions. During HIMSS AsiaPac18, Barcode Dynamics and Zebra will be promoting the new Zebra ZD510-HC (Healthcare) wristband printer. Barcode Dynamics is one of Australia’s leading providers of mobile data capture and labelling solutions in the healthcare sector. As a Zebra Premier Solution Partner, Barcode Dynamics has worked with many of Australia’s leading healthcare organisations, including Queensland Health. To find out more about HIMSS AsiaPac18, please call Matthew Candy (General Manager, Barcode Dynamics) on 0412 130 749 or visit the HIMSS AsiaPac18 website.